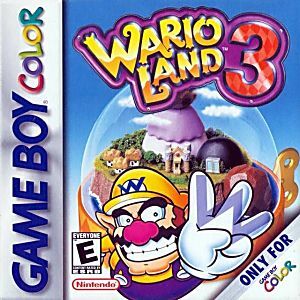 Wario Land 3 Game Boy Color Game Cartridge Cleaned, Tested, and Guaranteed to Work! I have rented this game more than once from blockbuster. It is my favorite platforming adventure game for the Gameboy Color. Wario finds a mysterious music box and is trapped inside with evil magic. Difficult for players not experienced in platforming games. The version I received takes a few more moments to save due to the battery condition. Still works great.